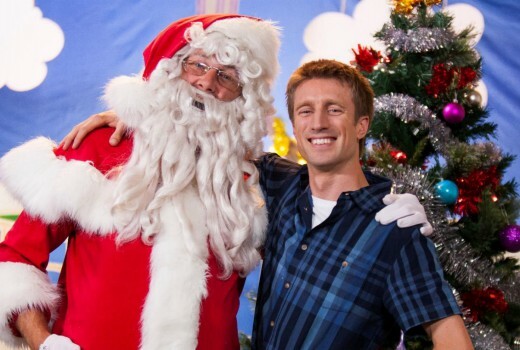 Next week ABC’s Sammy J will front a special edition Sammy J: The Twelve J’s of Christmas on which he introduces some of his favourite sketches from across the year, while hosting a special Christmas dinner. Peel a carrot and pour some milk, because Sammy J’s climbing down your televisual chimney with a look back on the year that was. Since stepping into the ‘Clarke & Dawe’ timeslot in February, Sammy J has carved out a multigenerational audience through viral sketches such as ‘National Yoga’, ‘The Government Coach’, and his fictional apology to the ‘Nauru Generation.’ The Twelve J’s of Christmas compiles the best of his 40 episodes, including the time he snuck into Malcolm Turnbull’s final press conference. Disappointed that this compilation has been tucked away on the Comedy Channel whereas the original sketches were on the ABC’s main channel. Sammy J had big shoes to fill and took a while to find his feet but is now striding away strongly.